Although my pancake recipes are predictably and unimaginatively housed on my breakfast recipes page, I am a firm believer in the occasional pancake dinner. 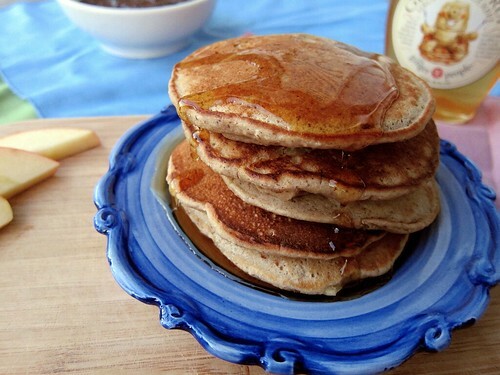 Pancakes are quick, they’re relatively filling, and they’re practically dessert! And I am all for the occasional dessert-y dinner. 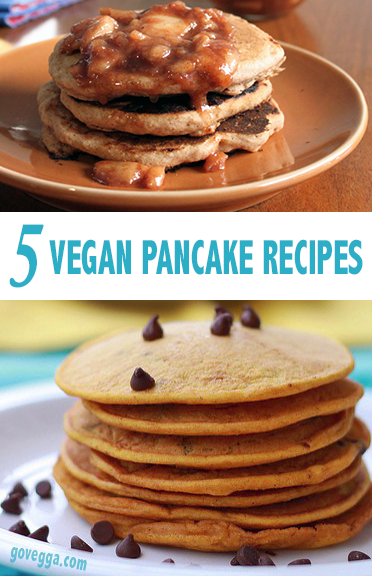 Vegan pancake recipes for any time of day (or night)! Spicy pillows of puffy goodness topped with a buttery apple pie-inspired sauce—what’s not to love? Check out my recipe here. 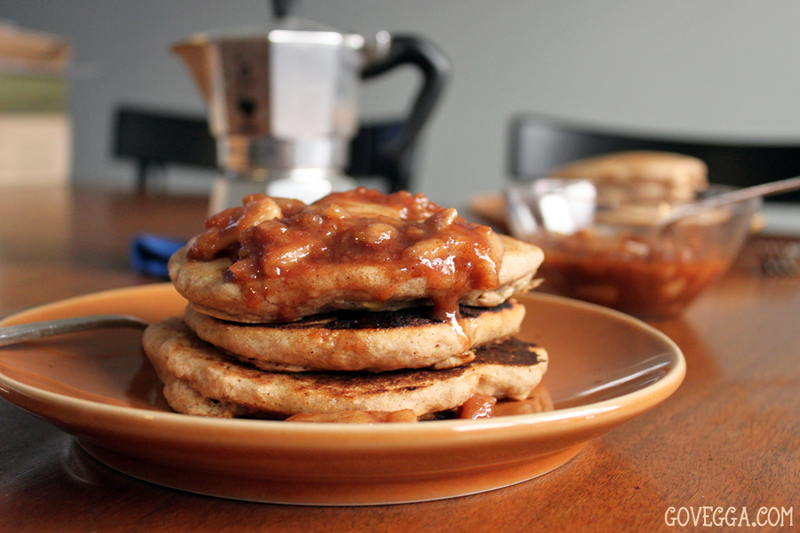 This recipe from Minimalist Baker is the stuff of my breakfast-for-dinner dreams! Note that it’s a yeasted batter, so you’ll need to allow an hour for the batter to rise. For classic melt-in-your mouth straightforward pancake goodness, look no further than the queen of all things vegan brunch-y, Isa Chandra. This recipe is an oldie, but definitely a goodie! 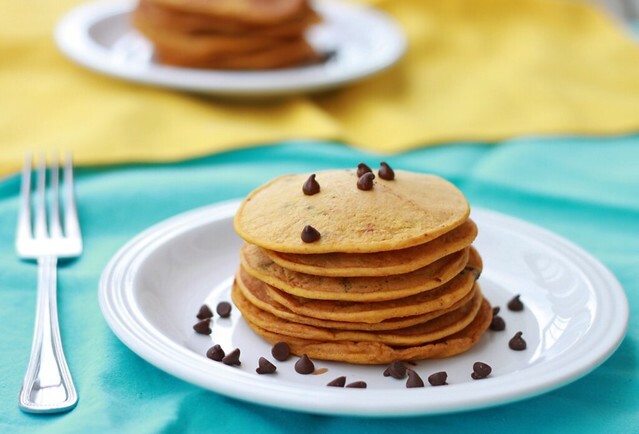 If you’re into towering stacks of wafer-thin pancakes studded with little chocolate bites, this is the recipe for you. Another one of my older recipes, go for this recipe if you’d like to convince yourself you’re eating a healthy dinner: It uses whole wheat (pastry) flour, after all!